One of my dogs (that I bred) was recently diagnosed with meningoencephalitis of unknown etiology, and is being treated with prednisone & Cytosar. She is doing well so far (2 months into treatment). Should I be concerned that her relatives could be at risk for this disease? 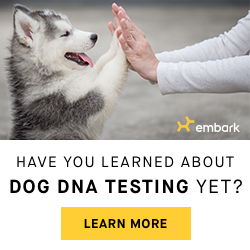 A genetic basis for susceptibility to MUE has been demonstrated for Pugs, and currently there is a genetic test available to screen for this. Maltese have also been demonstrated to have a genetic susceptibility to disease. Although other breeds are known to have a predisposition to MUE, the role that genetics may play has not been elucidated. In addition, because MUE is believed to be multifactorial, environmental factors may also contribute to the development of disease.